I have been in France many times between 1979 and last year, and in Paris perhaps half a dozen times, if not more. On one family holiday, I was persuaded – without much arm twisting – to go to Euro Disney, with the promise that I would have a day in Paris all to myself. And then, a few days later, we also decided to go back into Paris together again. 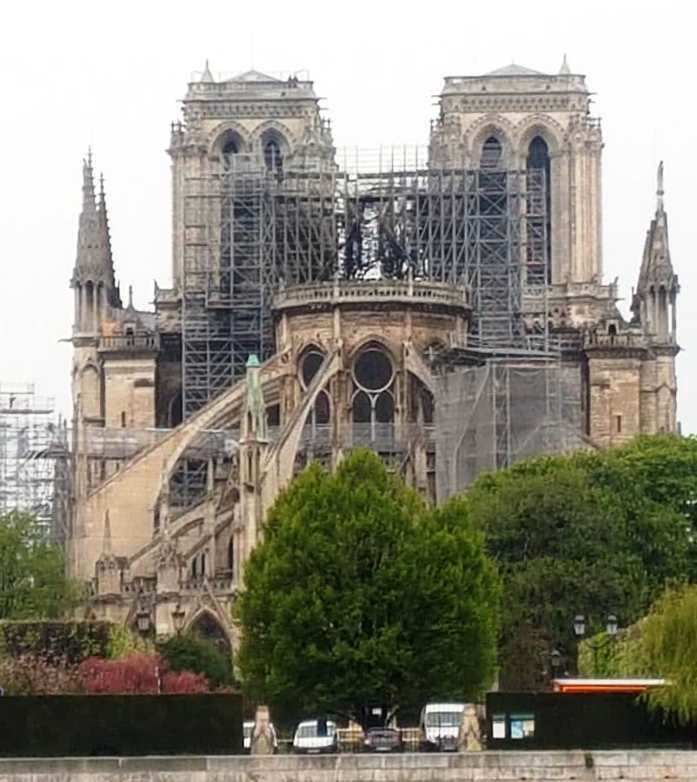 Two young boys wanted to climb the Eiffel Tower, see the Arc de Triomphe, and wondered did the hunchback actually live in the bell tower at Notre Dame. Of course, I have visited each of these sites on many occasions. But there are many places I still have to visit in Paris – I have yet to visit the Louvre, for example. And there are some places that make me feel uncomfortable. Despite the beauty of Sacré Coeur and the breath-taking views if offers across the city from Montmartre, the story of the massacre of the communards and the triumphalism of right-wing French royalism make me feel uncomfortable about visiting the basilica. I was sent to Paris by The Irish Times when I was a journalist; I have been there to visit protesters when I was an activist in CND in the early 1980s; I have stopped overnight to break long-haul flights; and there have been family holidays too. Like every priest, I suppose, I too have come to find my own favourite churches in Paris. But on each occasion, I have also visited Notre Dame, which expresses in stone the spiritual heart of Paris and of France. On one visit to Paris some years ago, four adult family members stayed near Montmartre, and I went for a jog on the butte of Montmartre each morning. But when it came to visiting Sacré Coeur, I was perhaps too blunt with the oldest family member when I expressed my views about the basilica and what it represented. The tables were turned later that day when we visited Notre Dame. 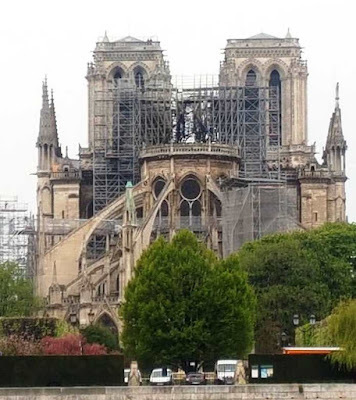 This same elderly family member questioned what she saw as the ostentation of the cathedral, and was disturbed, at the same time, by the large number of tourists trudging through, taking in their 30-minute experience of Notre Dame as they moved on to the next site, without pausing for prayer or reflection, even as the Mass was being celebrated in a side chapel. I looked around, and noticed the large number of confession boxes, each offering the sacrament of reconciliation to visitors in a different language – French, English, German, Spanish, Korean … there must have been 10 different languages in all. I thought of the mission agency I was working with at the time. If it could state in its annual report that it reconciled 10,980 people, if not more, with God, with the Church and with their own souls each year, it would have no problem in fundraising in parishes and dioceses throughout the Church. This has been the mission of Notre Dame for over 850 years … over 9 million people, at lowest possible calculation. This is the mission of every cathedral. Notre Dame is the same age as Saint Mary’s Cathedral, Limerick, and both share the same dedication and patronage, as does Saint Mary’s Church, Askeaton. 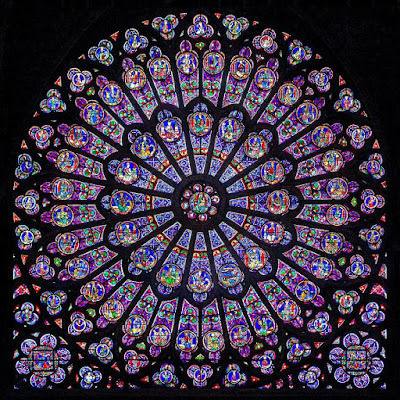 Last night, during our Lenten Evening Prayer in Saint Mary’s Church, Askeaton, we prayed for the priests and people of that other Saint Mary’s Church, Notre Dame in Paris, and for the people of Paris. Cathedrals are the mission of the church in cities, where the stranger meets Christ, where Christ welcomes the unwelcome, where beauty shrines through the grime and dirt of everyday life. Their liturgy and their visible beauty hide a more beautiful, inestimable truth they hold as a treasure for the life of the Church and in the life of society. 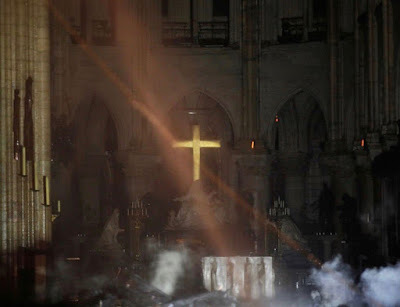 This morning, a much-shared image on social media was a photograph of a cross glowing above a side altar through the dust and smoke of the charred cathedral. 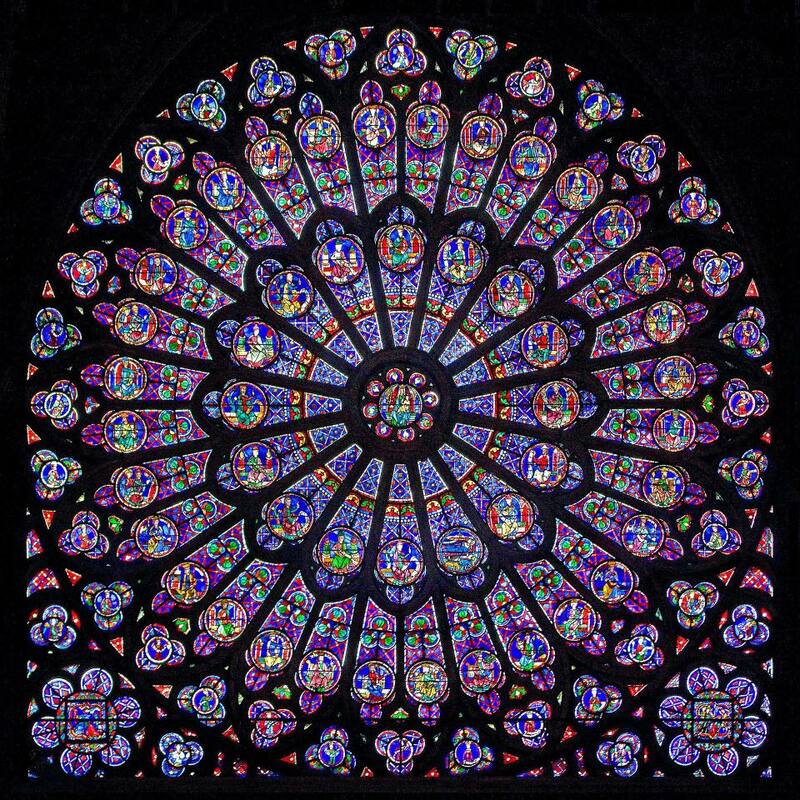 For the sake of 9 million people over the next 850 years, I hope Notre Dame recovers quickly from last night’s disaster. Easter always offers the hope of new life.